A three-year deal worth $360,000 could be sole-sourced by the City of Whitehorse to Microsoft Canada. Michael Reyes, the city’s manager of business and technology, brought forward the recommendation for the contract renewal on Monday evening. It would cover 2019, 2020 and 2021. As Reyes explained: “The city has been using Microsoft (MS) Windows for OS and MS Office suite for productivity since the 1990s. “The last time the city issued a tender for MS Windows and Office was in 2004, when the city had a non-enterprise licensing agreement; i.e., individual licences for 200 users. The most recent agreement saw the city pay approximately $98,000 annually for the Microsoft programs. 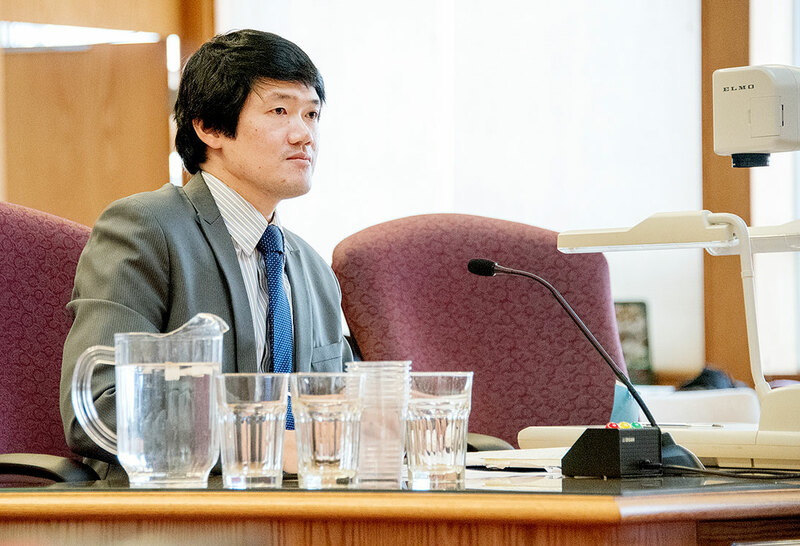 “Through the years, the city’s licence requirements for MS Windows and Office have increased due to growth of the city’s operations,” Reyes told council. Under the city’s purchasing and sales policy, a council resolution is needed for any contract of more than $100,000 and any consulting services that’s more than $50,000. In this case, the city needs council to pass a resolution to waive the public bidding process along with voting to award the contract renewal with Microsoft Canada. “Microsoft Windows and Microsoft Office are de facto industry standards for the desktop/laptop operating system and productivity software suite,” Reyes said. “They are dominant in businesses and are the most widely used (1.4 billion users in the world). With Microsoft programs already being the base for the city’s technology operations, staff are already familiar and trained on the existing software and a number of the city’s systems such as a financial program are compatible with the existing Microsoft products. “From a productivity perspective, there is no compelling reason to change course,” Reyes noted. Following Reyes’ presentation, Coun. Samson Hartland commented that he isn’t in favour of sole-sourcing contracts. In this case, however, the city really can’t avoid it, he pointed out, and wouldn’t be able to get the contract for a cheaper amount. Wash her through the old 'Surplus Fund'. @Gill Bates: No one is suggesting an alternative to Microsoft products. I would agree that Microsoft products are the way to go. Trying to move to open source is a bad idea, IMO. That being said, I don't know why the licenses can't be tendered out. YG is not automatically the cheapest option. Why is the city always working against local businesses on technology? This should have been brought to tender with local companies given Microsoft builds there licensing around contracts to be deployed though resellers now with same pricing in most cases. Exactly. Look what happened to Munich, Germany when they tried to migrate to Linux. What a mess that was. US $58.8 Million is the total so far. You can't get it for cheaper because you'd made the system by sole sourcing that doesn't allow for it be cheaper. I'd be interested in hearing Samson Hartland's alternative? Open source OS and productivity packages? Retraining every single COW worker to use such a platform? Retooling the whole back-end of the city's infrastructure? Hundreds of hours (OT during non business hours) re-imaging existing workstations/servers? Rebuilding incompatible applications specifically designed to run in the MS environment? Being at the mercy of the open source community to supply patches and upgrades? Finding a local vendor to resell, at a markup the required licensing? Hartland often just speaks to hear the sound of his own voice, he knows nothing of what he speaks. Makes sense in this case. Carry on.